Google Chrome (iOS) is the mobile version of the popular browser which works very much in the same way as the desktop version. The mobile browser allows for you do much of the same things as the desktop version and is identical to it. You’re able to bookmark pages, browse smoothly enough, and even use Google Docs. Now I wouldn’t suggest using Google Docs on your smartphone for the same reasons I don’t suggest using Microsoft Word or Microsoft Excel—the size of smartphone screens just don’t really lend themselves to being fully functional. 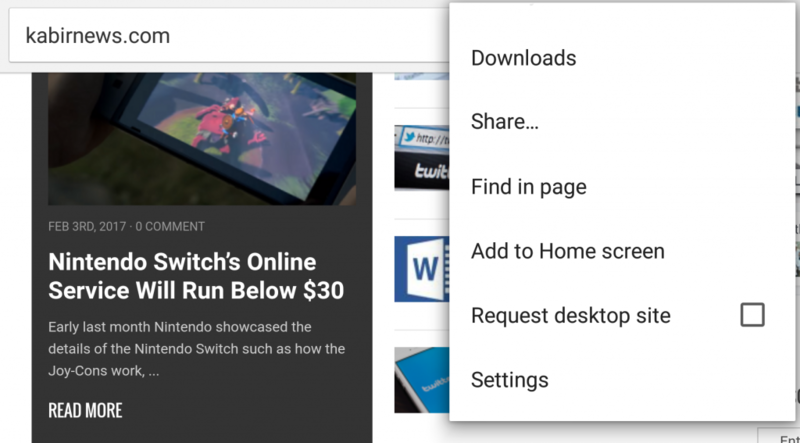 The thing about Chrome over another browser we reviewed in Opera is that it has an ecosystem of programs that it can tap into depending on the task. For example if you’re looking to play music, you can tap on Google Music somewhere on page if you’re looking for it and Google will prompt you to use Google Music. 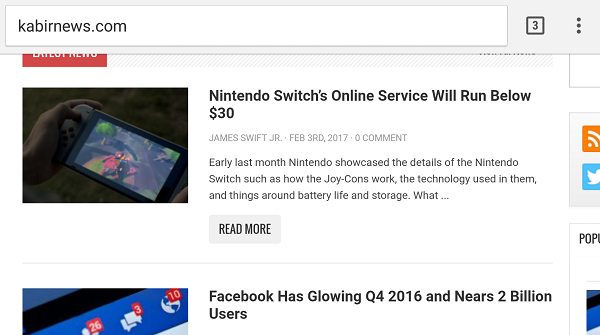 It’s the same with YouTube, it will offer you the option of opening the actual app or simply using the in-browser version of YouTube. As usual it’s recommended to use the app version of whatever service—especially if you’re on Android and the service is part of Google’s ecosystem of services. You should also check the box that will allow you to automatically open the service with that app unless the app has proven to be unstable. The UI works well for a mobile version of Chrome. The flexibility of having a Bookmark bar is missing, but you shouldn’t really have it on this app and any mobile bookmarks are easy the reach. Also if you use Chrome on your desktop and you’re signed in to your Google account—which you should be unless you’re using incognito browsing—you’ll have access to all of your bookmarks. The speed of mobile Chrome is good depending on the strength of your wireless or network connection. 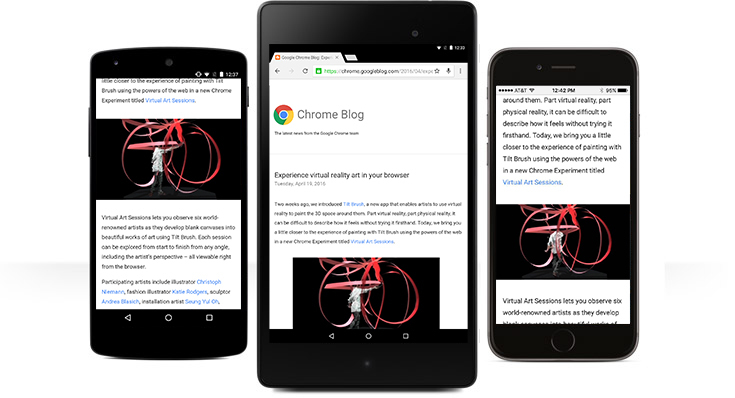 I wouldn’t say it’s Opera Mini, but for browsing of different workloads Chrome will work. It certainly won’t shutdown if you’re doing anything heavy like viewing videos, but I wouldn’t recommend it for browser games or in-browser IMing.